Flight isn't a bird's only superpower – like many animals with color vision, they see in ultraviolet. To try and find out why species might evolve to perceive ultraviolet, researchers at Lund University, Sweden, designed a camera to capture images of vegetation as it would look to a bird. The results of which have been published in Nature Communications. First thing's first. We perceive color thanks to photoreceptor cells called cones, which are located in the retina. These take light waves and turn them into color, or rather, the perception of color. Humans have three of these cones that can detect blue, red and green wavelengths. Birds, on the other hand, have four, giving them the ability to perceive ultraviolet wavelengths. To "see" these ultraviolet waves themselves, the researchers had to use a special type of camera developed to mimic real animal spectral sensitivities. This allowed them to compare two common UV-cone variants, ultraviolet and violet (both seen in different species of birds), to blue, green, and red cone variants in a series of images of vegetation. In total, they took 173 sets of six photos from different vegetative habitats across Sweden and Queensland, Australia. "What appears to be a green mess to humans consists of clearly distinguishable leaves for birds, Dan-Eric Nilsson, a professor at the Department of Biology at Lund University, said in a statement. "No one knew about this until this study." 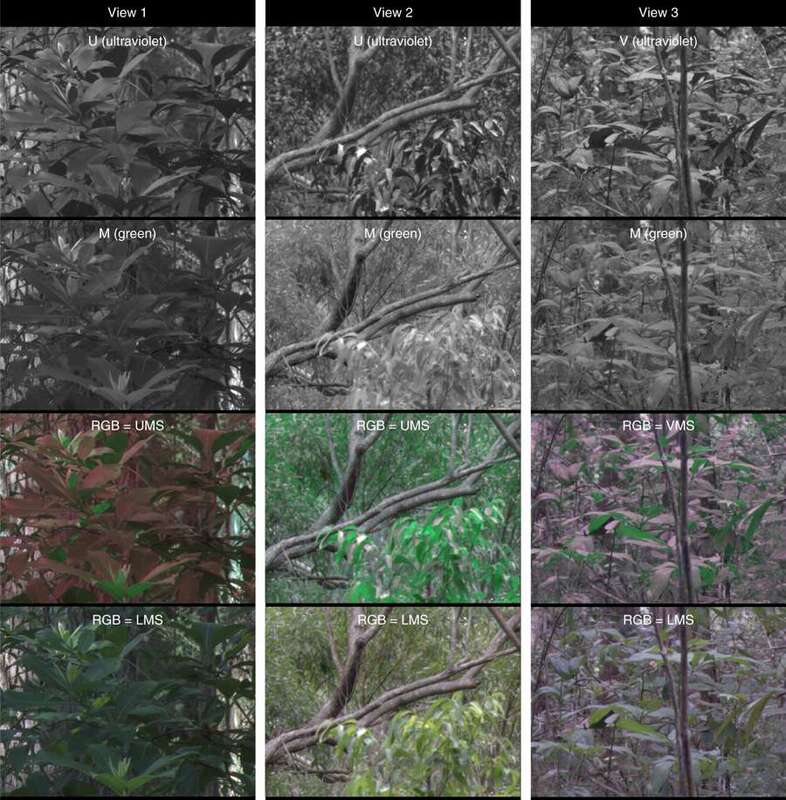 The resulting images show that the perception of ultraviolet light allows birds to see vegetation far more clearly than is possible on the green spectrum alone. While the upper sides of the leaves appear lighter, the undersides look much darker. The higher contrast and greater detail in the "ultraviolet" images would presumably be very helpful if you were a bird attempting to move around and forage for food in the undergrowth. Difference in leaf contrast between UV and green cones (rows 1 and 2). Rows 3 and 4 are false-color images close to replicating how trees appear to birds (row 3) and humans (row 4). Cynthia Tedore. The researchers explain the difference by comparing the amount of light absorbed and emitted by leaves. While the balance of green light transmitted and reflected remains similar, the amount of ultraviolet light reflected is much higher than the amount transmitted. "In nature, downwelling illumination is much brighter than upwelling illumination, which translates into more light being available to reflect off of upper leaf surfaces than lower ones," the authors write in the study. 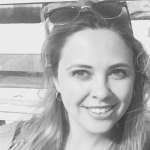 "These factors combine to make lower leaf surfaces radiate similar amounts of green, but very different amounts of UV light." Unfortunately, what we see in the images here isn't so much a mirror of what birds see, but more of an interpretation. Bioengineers may one day find a way to give us ultravision but until that day, we are limited to the red, blue, and green spectrum.